Everybody likes money. The feel of a crisp new banknote or the smell of a brand new £20 note is a fine thing and not to mention the best feeling of having money and being able to spend it on whatever you like but, what about the look of money? Have you ever studied a banknote? Well, if you haven’t, here are 5 that I have picked out that show the artistic side of money. These aren’t Photoshop’s engineering but actual real money which would look good in anybody’s pocket. I saw this note and actually thought to myself would I spend this or keep it and frame it. Well, I didn’t really but what a great scene for a banknote. Capturing the Battle of Trafalgar and bringing home the damaged HMS Victory, it’s one of my personal favourites. When I think of Hong Kong I see images of busy cities, bright lights and huge dancing dragons. The funny thing is their banknotes also reflect that sort of thing too! I love the colour in this particular banknote which has purples and blues making it look futuristic in some weird kind of way. Less colour, may mean less design but, with Finland’s 1000 Markkaa you get a subtle artistic design that shows so much thought and depth. I love the rippled, reflection of the King’s gate of Suomenlinna. This is considered the main symbol of Suomenlinna thus appearing so proudly on this note. This wonderful design encompasses the artistic accomplishments of Dutch artist Van Gogh. I looked at this banknote at least 10 times and didn’t even notice the honey bee. Then about 20 times later I noticed the larger honey bee to the left. I should have gone to Specsavers. There is probably another somewhere but I’m starting to look at this like a magic eye. Last but certainly not least is the 50,000 Dobras from Sao Tome. The detail on this banknote is incredible and makes having money feel even better. Compared with something like the Euro, it certainly shows passion and desire to make something that comes and goes everyday so special. This fantastic banknote of Bhutan shows the Government crest in the middle of the note with 2 dragons either side of it on the front side of it. Its mainly blue colouring is rich and looks full of detail. I could look at this banknote for hours. The reverse side of the Brunei $10000 Dollar Bill is an excellent example of artistic money graphics. The shades Green and Gold are used to create an aurora borealis feel around the Parliament building in Bandar Seri Begawan. This banknote is worth over £5000 so you definitely wouldn’t want it going in the washing machine. On the back of the Bulgarian 100 Lev banknote shows Aleko Konstantinov who was a famous Bulgarian writer. The imagery shows his works of Uncle Ganyu which is what he was most famous for. Other Bulgarian banknotes show artists and other famous Bulgarian people but, this one is my personal favourite. Each of the banknotes for the Ivory Coast depicts their growth through modern times and my favourite is the telecommunications illustration on the 10,000 Franc note. The imagery is not clear so it takes a few moments to gather all of the artwork in the note and on the back it shows two birds. My take on this is that birds were used to send notes and thus showing the evolutionary change from using animals then machines. Last but certainly not least is the Sri Lankan 2000 Rupee note. The front of this banknote shows the sun rising, or setting, behind the Sigiriya Rock. At the bottom there is a dressed elephant for a wedding ceremony. 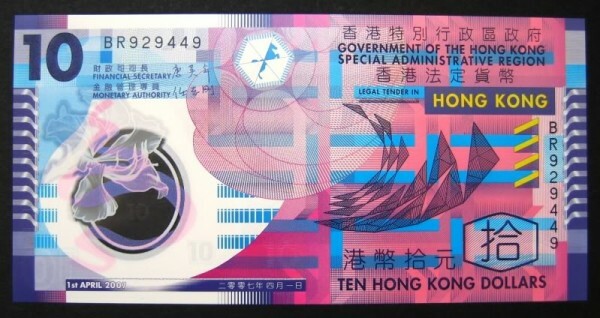 It shows a new beginning and also shows a great inventive idea for a beautiful banknote. NOTE: Images on this page were sourced by the author from Wikipedia and are not owned by YouTheDesigner and are used solely as design examples.